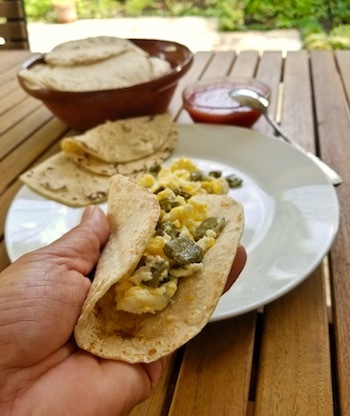 Serve nopalitos con huevo with freshly made corn tortillas. The tang and crispness of the nopalitos are wonderful for breakfast. It’s a classic Mexican dish that’s enjoyed all over the US and Mexico, and certainly everywhere in the Texas Mexican region. Moreover, nopalitos are a super food, delivering the highest amount of nutrition with the lowest calories of any food on the planet! 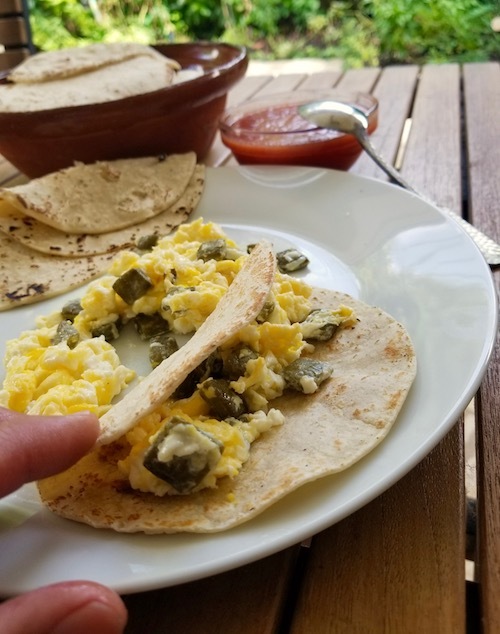 Cactus and eggs is such an obvious combination if you are living in the Texas Mexican triangle. 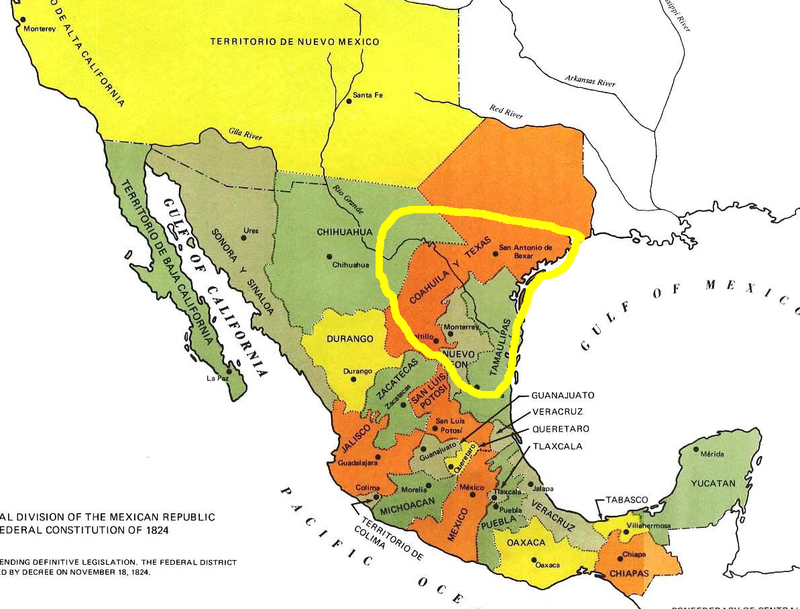 I can imagine one of our native ancestors looking at the fields, eyeing a cactus and an egg. It was a wise and observant cook who first invented this combination. This dish must be made with fresh nopalitos. Every time that I tested packaged, nopalitos with preservatives, the taste was so awful I had to spit them out. When you buy the fresh cactus, it will have spines, some very tiny, and even powdery. To remove the spines, I place the cactus paddles on sheets of newspaper and, holding each with tongs, scrape away the spines with a potato peeler. After you do this a couple of times, you will learn how not to get spines all over your arms. A shop near my home sells fresh nopalitos and two highly skilled ladies will clean them for you on the spot. Some stores will sell these freshly cleaned cactus, with no chemicals and these will keep in your fridge for over a week. 1. Heat the canola oil in a skillet at medium heat. Add the nopal squares and immediately turn the heat to very low. Sauté for 10 minutes. The nopal will acquire a nice color and the viscous juices will evaporate. See the video below. are cooked, but not dry. Taste and adjust the salt. Spoon the nopalitos onto a hot corn tortilla and serve with this classic salsa ranchera. Then just enjoy and give thanks that the universe is blessing you with a delicious, nutritious, and traditional, taco. Here’s what the cactus looks like when it is cooking on very low heat.